UNDO Labs is a New York and Istanbul-based design and innovation studio that reconfigures our environmental relationship with human made products. This is done through redesigning simple products (called “catalysts” in UNDO’s terminology) in an innovative way and offering a carbon offset mechanism through which users of UNDO products can “undo” the environmental damage created by some of the items they use. The first such catalyst product is UNDO Laces, tackling the carbon footprint generated by the shoe industry with a unique carbon offset strategy, coupled with a sleek, custom-made shoelace design. The original idea sparked from ATÖLYE’s core mission to create ecologically sustainable ventures while also delighting customers with exceptional design. 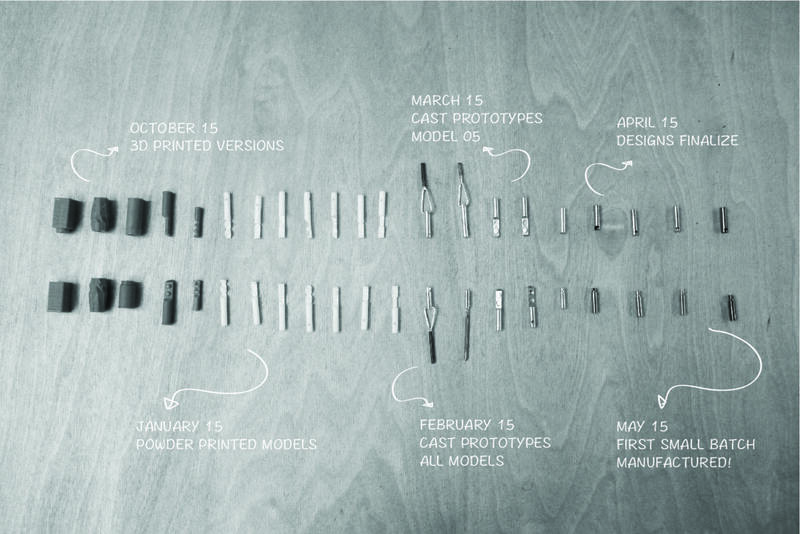 The initial phase of the UNDO Labs project started with curating a transdisciplinary team consisting of product design, environmental science, design research, UX/UI, semiotics and manufacturing. The team scanned the universe of products that have large carbon footprints – the total set of greenhouse gas emissions caused by a product expressed as carbon dioxide equivalent, a.k.a the ecological footprint – and were also lacking design differentiations in the markets they were being sold. Out of this research emerged our first product: The UNDO Laces – a unique shoelace design coupled with a carbon offset mechanism and a sustainable business model. The shoe is one of the most environmentally damaging items we wear due the raw materials used and intensity of manufacturing processes. According to an MIT study, a typical shoe has a carbon footprint of 30 pounds of carbon dioxide, equivalent to keeping a 100-watt light bulb on for one week. On a global scale, 25 billion shoes are sold in the world per year – the carbon footprint of the global shoe industry is close to that of the entire country of Italy. So we created our first product to undo the damage of the shoe industry. When a customer buys a pair of UNDO Laces, UNDO Labs offsets the carbon footprint of a pair of shoes by purchasing carbon offset credits from a wind energy, solar energy or reforestation project on the customer’s behalf. This is done through third party vendors such as TerraPass. The basic premise is that if everyone in the world had an UNDO Lace for every shoe they owned, the carbon footprint of the entire shoe industry would be offset. Through mini magnets installed in each end of the shoelaces and coupled with a mechanical twist, the UNDO Laces allow the user to create a third loop when tying their shoe. This is a physical manifestation of the closed-loop ecological systems approach that lies at the center of UNDO’s core mission. Furthermore, through this unique design twist, UNDO Laces solves the biggest pain point of replacing shoelaces: taking old ones off and putting new ones on. By simply connecting the end of the old shoelaces to the other end of the new one, the user can simply take off the old shoelace and the new will be automatically in by following old one’s lead. It took us over 12 months to go from the basic concept design to the completion of the ready-to-manufacture final design of the shoelaces. In the process, we integrated the unparalleled know-how of Istanbul’s artisans working on fine jewelry artisanship together with today’s digital manufacturing tools such as the different models of 3D printing, CNC milling and laser cutting as well as China’s mass manufacturing capabilities. The diligent research and rapid prototyping mindset allowed the team to create over 20 prototypes until reaching the current design of the product. UNDO Labs was debuted in New York Design Week at Design Junction in September 2014. UNDO completed a successful Kickstarter campaign in August 2015 raising close to $15K from close to 500 backers.